SeABank issues certificates of deposit with interest rates of up to 8.6 percent per year. Hanoi (VNS/VNA) - Banks have to mobilise long-term capital at high costs by issuing certificates of deposit (CD) in Vietnamese dong with high interest rates to lure depositors, causing concerns about a domino effect on lending rates. 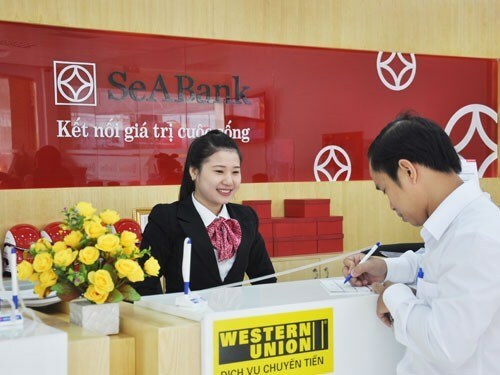 At the Southeast Asia Bank (SeABank), when customers apply for a 24-month CD valued at a minimum of 100 million VND (4,290 USD), they can enjoy a fixed interest rate of 8.4 percent per year, while a 36-month CD can bring them a fixed interest rate of 8.6 percent. The State-owned Bank for Investment and Development of Vietnam (BIDV) has also introduced high interest rates for long-term CD. Specifically, an interest rate of 7.6 percent is applied for an 18-month CD valued at a minimum of 10 million VND for individual customers and 50 million VND for corporate customers. One leader of a bank, who declined to be named, said banks had to issue CD at high interest rates as they faced difficulties in luring long-term capital. The rate of CD is currently some 1 percent higher than normal deposits. The Nam A Joint Stock Commercial Bank (Nam A Bank) has recently raised interest rates on 12-month deposits to 7.7 percent per year, up 0.3 percentage points from late last year. Notably, with the form of online savings deposit, customers will be offered an interest rate of 8 percent per year. Early this month, the Saigon Joint Stock Commercial Bank (SCB) also applied the highest interest rate of 8.65 percent per year on 13 to 36 month online deposits for individual customers. The Lien Viet Post Joint Stock Commercial Bank (LienVietPostBank) has recently also introduced a new interest rate schedule, with an interest rate of 8 percent applied for 13-month deposits, up 0.2 percentage points against the end of last year. Currently, many banks are in a dire need of long-term capital as their ratio of medium- and long-term capital in the total remains limited. Meanwhile, according to State Bank of Vietnam (SBV) regulations, banks must reduce their short-term funds for medium- and long-term loans to 40 percent from early this year against last year’s rate of 45 percent. In addition, banks also need more capital to meet a capital adequacy ratio (CAR) of 8 percent in 2020 as per the SBV’s Basel II norms. Fitch Ratings estimated the Vietnamese banking system could face a capital shortfall of almost 20 billion USD to meet Basel II implementation.